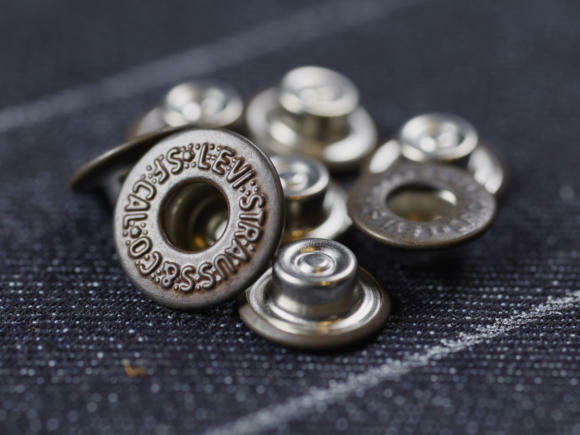 Two years ago, I wrote enthusiastically about the launch of Levi’s bespoke denim service - Lot No.1. 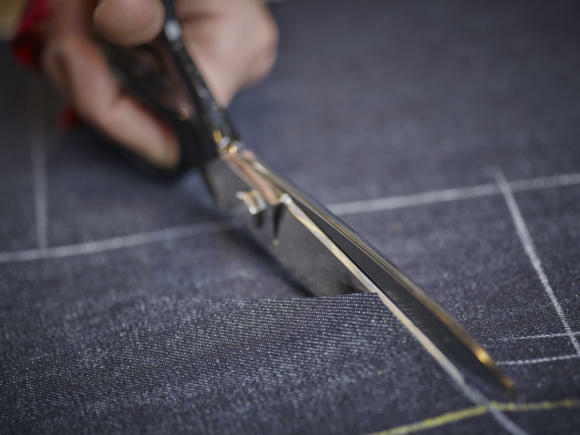 Here was the prospect of getting perfectly fitting jeans, in exactly the cut you wanted, made by a Row-trained cutter. The service provided by Lizzie Radcliffe at Levi’s proved to be very good, and I now have two pairs I wear exclusively (all other denim, that Albam, Kapital and Full Count, having fallen by the wayside). 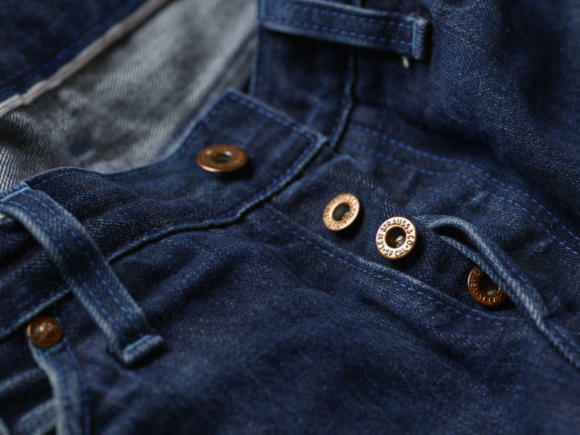 Pleasingly, I was also told that the main coverage at the time came from Permanent Style and a certain luxury magazine; and when, over the next few weeks, Levi’s asked customers where they had heard about Lot No.1, the vast majority came from PS. I don’t know who those readers were, but it’s always lovely to hear that people are investing in my recommendations. I’ve felt fond of Lot No.1 ever since - and in a small way proud to hear that last week the London store reached the milestone of 501 bespoke pairs since it opened. 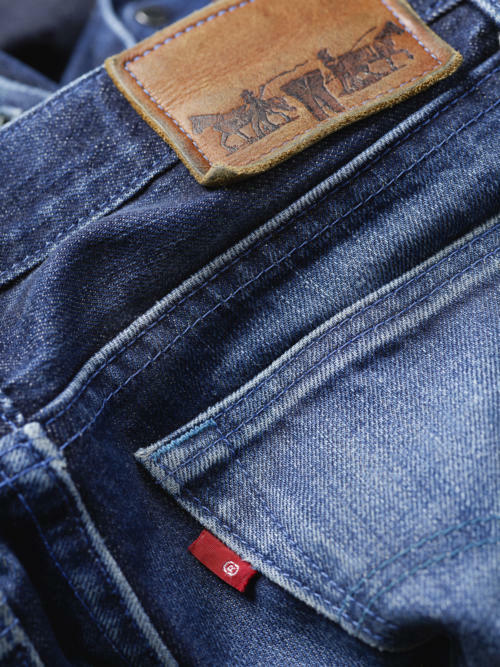 The number 501 is obviously highly significant for Levi’s (and denim in general). But most impressive was that London reached this milestone way before the other two Levi’s stores offering bespoke - New York and San Francisco - given they opened months earlier. Apparently most customers in London are also the kind of ones you’d expect from Permanent Style - slightly older guys, looking for great denim that actually fits them. In New York it’s more hipsters looking to customise jeans and get something unique. Here it’s all about fit. So thank you, you beautiful nerds (as Roman Mars of my favourite podcast, 99% Invisible, would say). 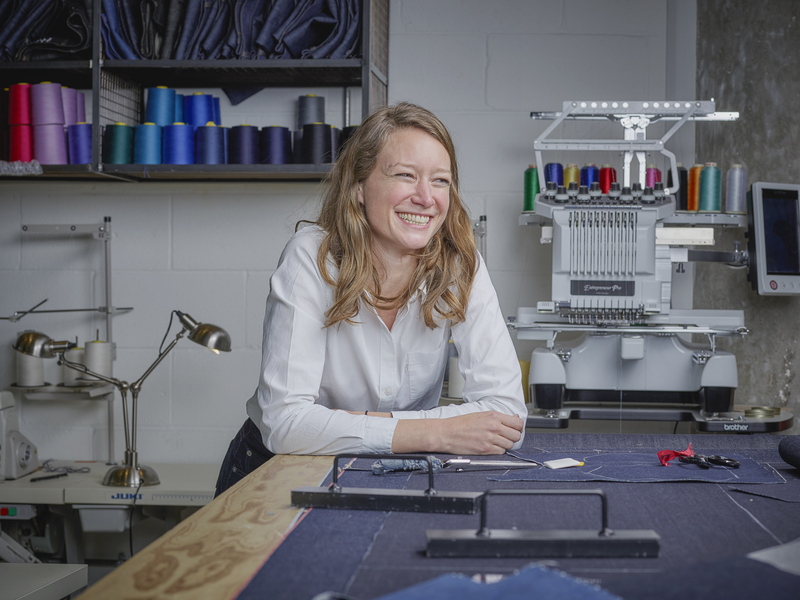 You’ve been rewarded with several improvements to the Levi’s service: rare denims to pick from (hemp, cashmere, Japanese dead stock), greater variation in design, and freedom for Lizzie to experiment with different, more non-Levi’s cuts. Lizzie has also taken on two staff in that time, as the offering has grown. One started recently on two days a week; she was on four days a week a couple of weeks later; and is now full time. It’s nice to see how jeans have aged over time. Some people wear them a lot harder and wash them more: Lizzie’s first pair, pictured below, have worn beautifully. I love how soft the leather patch on the waistband has become. Given I have two pairs (one high rise, one low) mine haven’t worn anywhere near as much. But they still have great character, and I’m looking forward to the day I bring them in to be repaired for the first time. These images are from a recent visit to Levi’s where I watched the 501st pair being cut. Charmingly, Levi’s had run a competition to see who should get the coveted pair, with customers having to write in and say why they should have them. Guys said they would wear the pair to get married in; several based their claim on the fact their name was Levi; and there were a handful of poems - the best of which was the winner. I hope they serve him well. Here’s to a great service going from strength to strength. You can follow the discussion on Levi’s bespoke jeans – Update and 501st pair by entering your email address in the box below. You will then receive an email every time a new comment is added. These will also contain a link to a page where you can stop the alerts, and remove all of your related data from the site. Interesting! 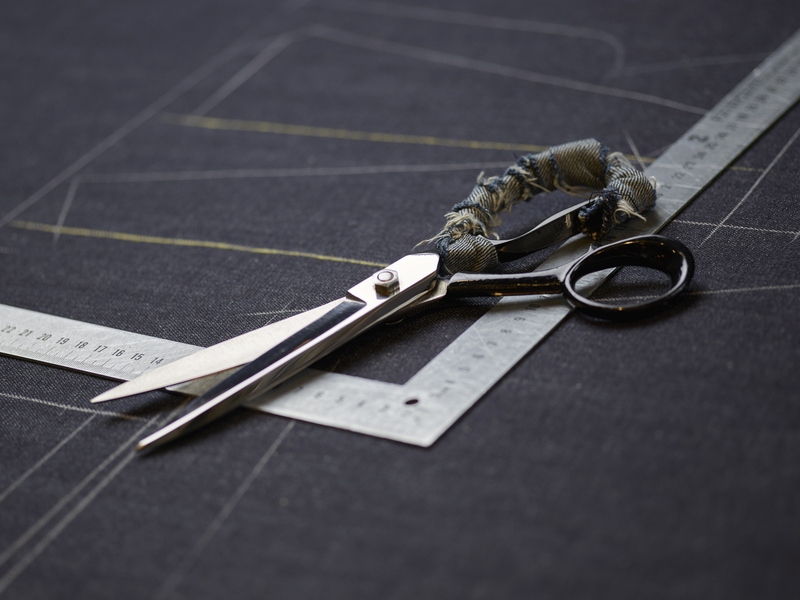 Are there several fittings involved in making a pair of bespoke jeans as in “regular” bespoke trousers? This was the first of your recommendations that I benefitted from . I had the first of my three pairs made last May and the first one has already come back from Lizzie after a truly expert repair. I’ve met lizzie quite a few times because I asked her to make me a special pair that was between high and medium rise. Her expertise and charm have made the service truly attractive. The first pair have faded so well that Lizzie wanted to put them on instagram! I think whether you’re a man or woman (especially if you’re over 30) getting a pair of jeans that fits well is a clothing holy grail! The other recommendation I’ve been very grateful for is Elia Caliendo. Thank you for such honest and well researched recommendations! Sounds like a great service, on a related point I wondered what your thoughts are on how regularly to wash jeans? I have heard many people suggest they either don’t wash them at all or do so very rarely; even when they wear the same pair quite frequently. It depends on how you want them to age, and if they are starting from raw. Hmm interesting price point. At the moment Momotaro, Tellason, Iron Heart, Rogue Territory, 3Sixteen and Unbranded offer my wardrobe such a range of colours, fading potential, weight and [on-topic] fit (note these are all sub £300 price point with the Unbranded as cheap as £60) that I’m not sure when I’d pull the trigger on these. I think that simply comes down to having little or no experience with fit as an issue and this may be down to my willingness to buy raw and work through the moulding process of high quality fabric rather than hope a £280 “designer” pair do the deal. Funnily enough I was offered a GQ internship off the back of writing an article on tailored jeans so I probably should have a different outlook! This kind of offering is what I expect and wait with baited breath for a charming company like Hiut denim to offer at a more competitive price point. Go on! I was just thinking that Hiut should offer this service whilst on my lunch time run. if I didn’t love my Hiut salvage jeans so much I would be tempted by some Levi bespoke, but as it is I don’t see the value in it for me. Hi Simon. So if i understand this correctly, I’d just need to make an appointment, meet with Lizzie, discuss my options and then the jeans are made ? Do you know if they could be shipped internationally after the meet? Thanks. I don’t suppose you know the current cost? Have you looked at the comments above? My comparison RIK would be to suit trousers. How often do you dry clean a daily suit? Maybe more than I but unless you’re in a hot country sweating into them regularly the adherence to basic hygiene and, where required, some Mr Black denim refresh (and some people utilize a freezer) I really do not have any problems. The don’t wash in <6 months unless you want to ruin the fades mantra is somewhat dead for those who frequent denim head forums as it's all about intensity of wear and being reflective of your lifestyle. Not sure if this helps reassure you?! Thanks CJ. I hear you but I’d tend to wear my jeans much more frequently than suit trousers and in grottier environments like the pub, gigs etc. I’ve never felt confident about not washing them for too extended a period of time! Really nice article, as always. Just a suggestion…I think it would have been really nice to have accompanied this with pictures of both your jeans from Levis so that we could see how they’ve aged and look now and show the different rises, colours, detail that you went for comparison. I am aware that there are images in other pieces with you wearing jeans. Cheers. Good point, perhaps for a separate post. 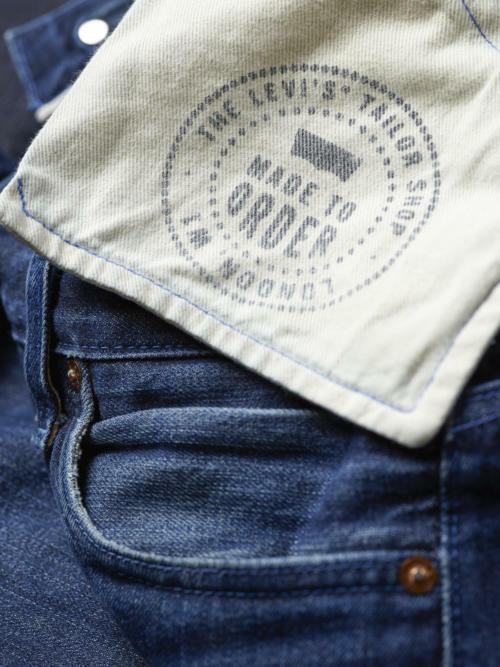 Hi Simon – do you know if Levis will make them up without branding (i.e. the red tab and the back pockets)? I think Lizzie will do it without the red tab. 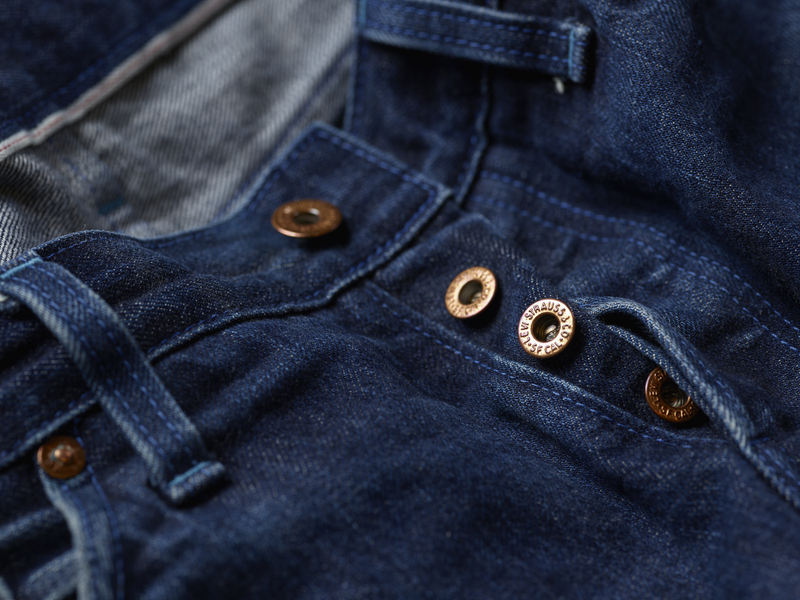 You do need the pocket stitching, but can choose a thread colour that isn’t so visible. Also, you need a patch, but the Lot No. 1 London patch is quite classy. I ordered my second pair a couple of weeks ago. I don’t need to wear smart clothes 99% of the time, so I live in jeans. Wear per pound they’re easily the best value for money I’ve ever spent on bespoke clothing. They’re a perfect fit and Lizzie is great to deal with. Thinking about my third and fourth pairs now. That’s not how man-maths works. I very much enjoyed your article. I was lucky enough to win the opportunity to have the 501st pair made. I think Lot No. 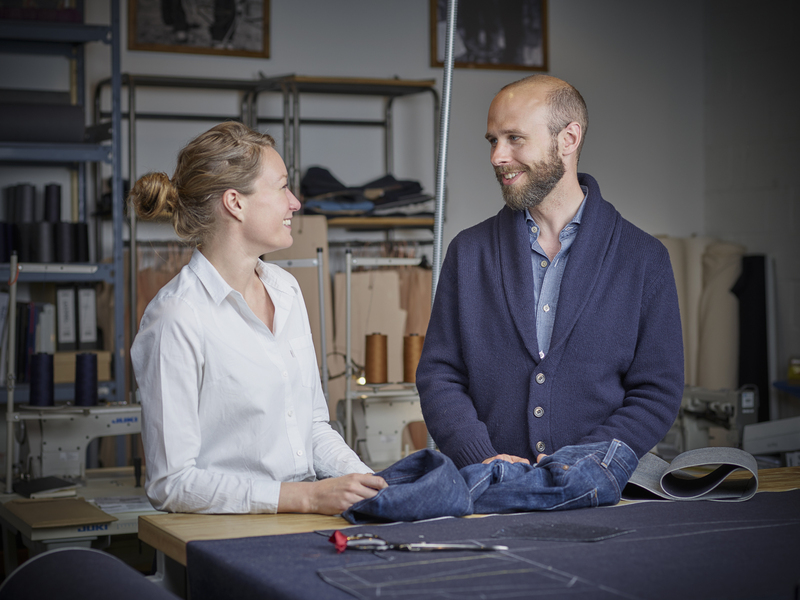 1 is an inspired initiative within the Levi’s empire. I’ve had pairs numbered 028, 065 and 301, all of which fit perfectly and just get better and better – they’re the best value bespoke clothes I’ve ever bought. For anyone who likes to own clothes on their terms, and wants an incomparable fit for their jeans, I couldn’t recommend Lot 1, and Lizzie in particular, highly enough. P.S. In response to some of the comments on frequency of washing jeans, there is a simple, ineluctable rule: if they smell, wash them. Hello Simon, From your last Levi’s post you wore some EG Malverns. To what degree do you think you could dress down brogues in a lighter shade? Say if a kudu was used in place of calfskin. I wear mostly denim (being 22 I haven’t quite reached a comfortable transition or the need for one over to other trousers) and in terms of formality, don’t really go beyond a shirt or cashmere knitwear along with coats. I wonder if you could comment on the differences in functionality between your mid-rise Levi’s bespoke and the high-waisted pare. Is the mid-rise still suitable for wearing a shirt tucked in? Also, what denim did you have the mid-rise made up in? Is it the same Japanese raw denim you used for the high-waisted pair? You can still tuck a shirt into the mid-rise, yes, though obviously the high rise has some functional advantages. I was wondering if you happen to know anything about the quality of Blackhorse lane atelier jeans? They Seem well made and reasonably priced compared to makes such as Levi’s vintage or Albam. I think they make drakes jeans as well? They do make them, yes. I can’t speak to the quality I’m afraid, no. I have just ordered my first pair from Lizzie. What a delightful experience! Could you please give readers an update on the look and feel of your two pairs, now that we are a year or two down the road? It would be great to see how they have worn and faded with time. Will they custom make a men’s demin overall?